Hey Girl, Party! Party! Party! All Right, Just Boogie! Boogie! Boogie! 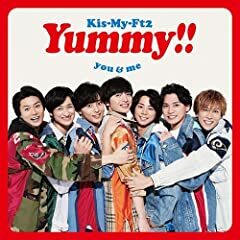 Kis-My-Ft2 invitation 歌ってみた キスマイ 北山宏光 千賀健永 宮田俊哉 横尾渉 藤ヶ谷太輔 玉森裕太 二階堂高嗣 カラオケ.